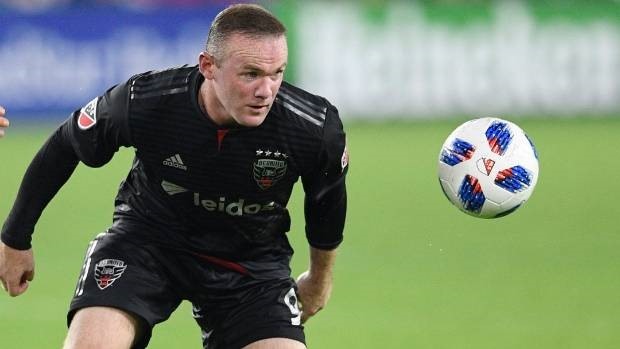 WASHINGTON — Wayne Rooney scored a stunning free-kick to keep D.C. United firmly on course for the Major League Soccer postseason on Wednesday with a 1-0 victory over Toronto FC. Former England and Manchester United star Rooney, whose arrival in Washington has transformed the club’s season, curled in a superb strike from 30 yards in the 18th minute to settle the points. The victory leaves United four points clear of Montreal Impact, their closest rivals for a playoff spot, with 47 points from 32 games in the Eastern Conference standings. Montreal, who are just outside the postseason places in seventh, have 43 points from 42 games. United are now unbeaten in eight games and are in control of their playoff destiny with two rounds of fixtures in the regular season left to play. Rooney’s side face New York City FC on Sunday before closing the season against Chicago on October 28. United’s playoff charge has been traced back to Rooney’s arrival in July. The 32-year-old former England captain called time on his Premier League career earlier this year after leaving Everton.